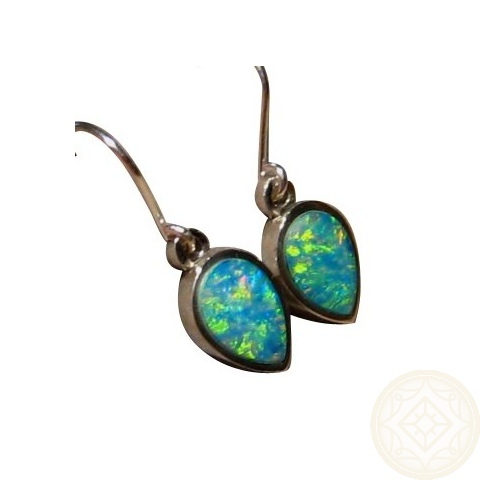 Opal dangling earrings in 925 Sterling Silver inlaid with inverted pear Opals that show Green and Gold. 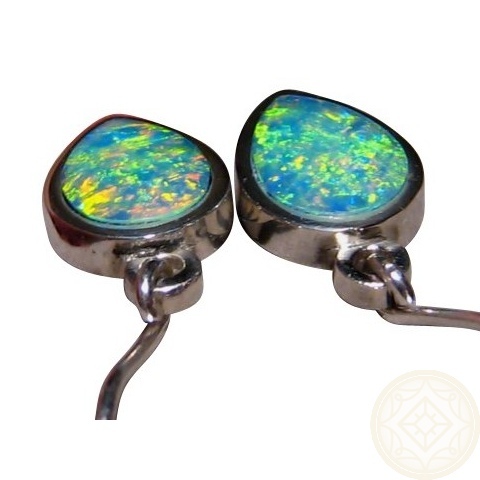 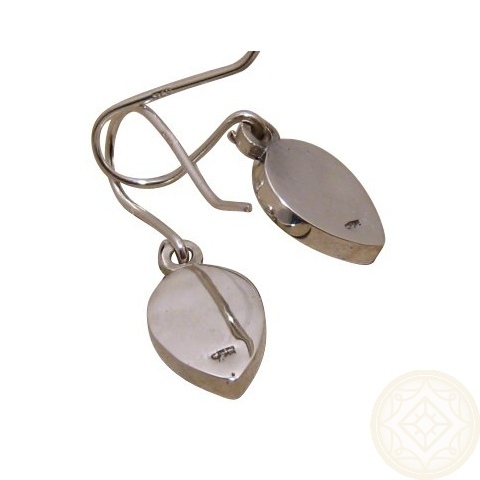 These Opal earrings are in 925 Sterling Silver and are a short drop earring. 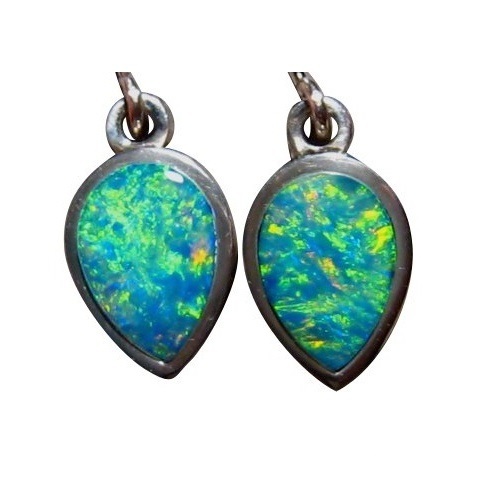 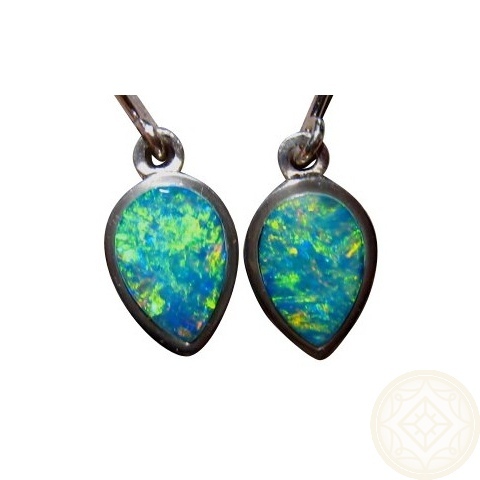 The Opals are inlaid in the Silver and are Lightning Ridge Black Crystal Opals that are very bright and show Green and Gold. 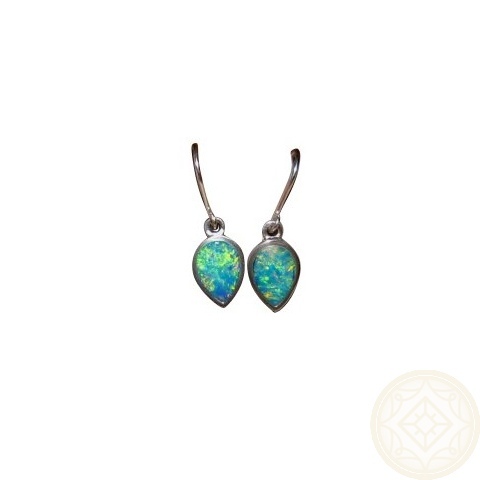 They are an inverted pear design and the video below will show the play of color in the Opals as well as the high shine of Silver which the photos do not capture. 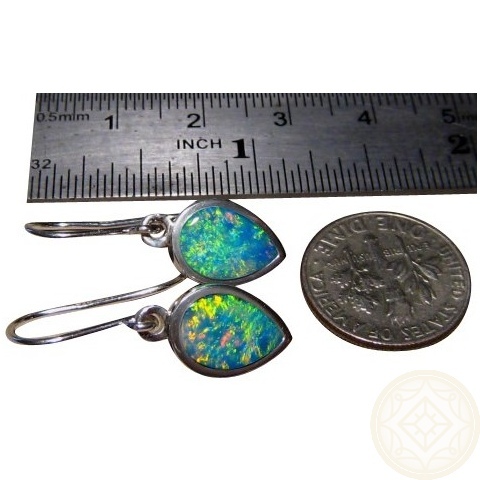 These earrings are Made to Order which will take about 7-10 days to make before images are provided for your approval to ship.